Thank you for your interest in Killer Abstract Backgrounds volume 2! 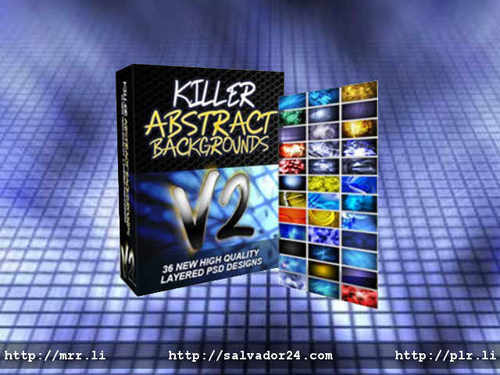 Killer Abstract Backgrounds v2 is a set of over 30 high quality background graphics you can use to easily create awesome graphics. https://salvador.tradebit.com brings you the second set for a low bargain price – even lower than the price of a single stock graphic. Get Killer Abstract Backgrounds v2 with the Bonus here now! View Killer Abstract Backgrounds v2 on tradebit.com.